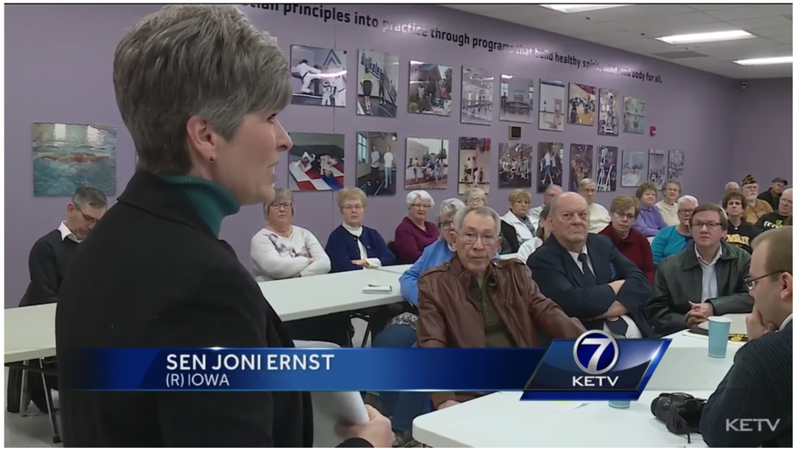 Republican Senator Joni Ernst has called for an investigation into USA Gymnastics after the former team doctor Larry Nassar was sentenced to life in prison for sexually abusing female athletes. She’s not wrong about USA Gymnastics, there should be an investigation. But she’s been very selective about which sexual predators she thinks need to go to prison. For example, she had her chance to pull her support from Donald Trump when it became clear that he had bragged about sexually assaulting women, and she stuck by him. 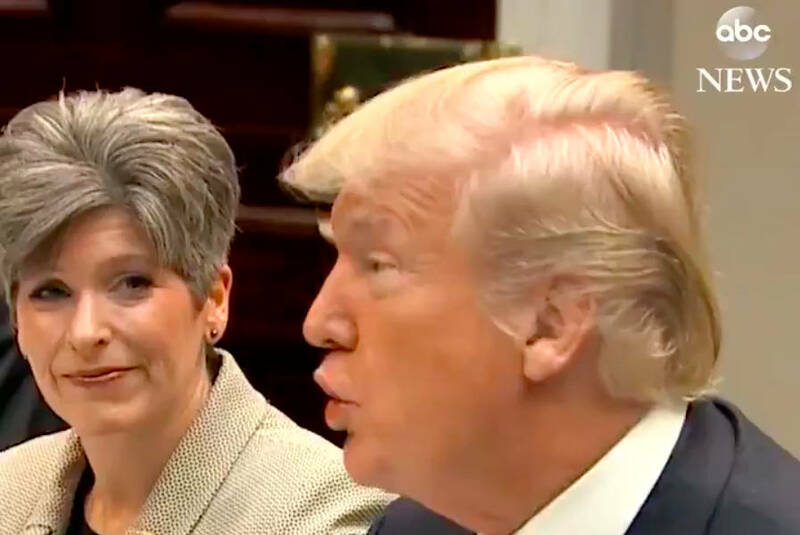 And when child molester Roy Moore was endorsed wholeheartedly by Donald Trump, Joni Ernst sat quietly next to Trump (photo of that moment, above) and didn’t object. It’s almost as if she thinks it’s OK if you’re a Republican.